DOCTOR WHO: The Master Encounters - TIME FLIGHT | Warped Factor - Words in the Key of Geek. The Fifth Doctor.. The Master... Concorde... what could possibly go wrong? Andrew Jero takes a trip back to 1982 and revisits Time Flight. Time-Flight. Time-Flight. Time-Flight. A story that recently, in the Doctor Who Magazine fiftieth Anniversary poll, was voted number 237 out of 241. 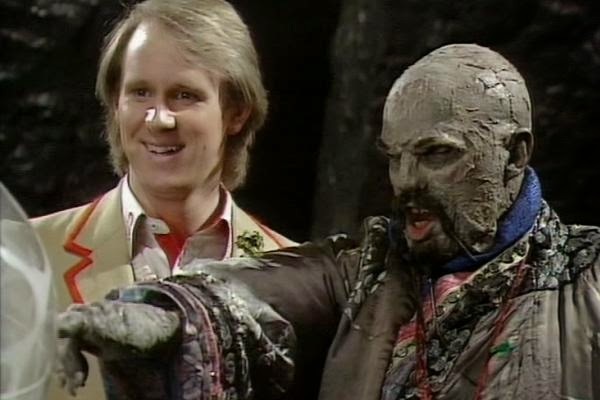 As a fan of the fifth Doctor era, I can see why some might put this story there, but personally, though it is my least favorite story of his era I rate it above many regarded classics such as Blink, Turn Left, The Aztecs, Remembrance of the Daleks and The Empty Child two-parter. 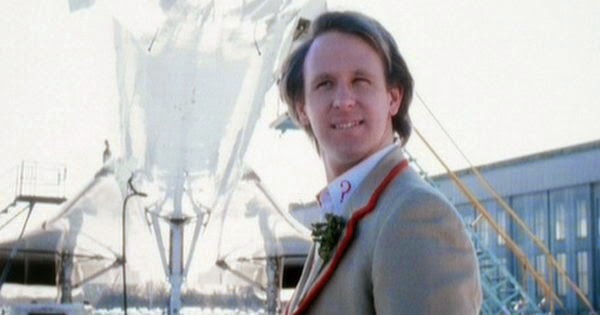 The fifth Doctor’s second encounter with the Master, who is now played by Leon Ny Taiy, (a pseudonym of Anthony Ainley used to hide the Master’s appearance), leaves people with two big questions; one, why is the Master hiding his identity from himself and the passengers of the aircraft he has captured when none of them will recognize him? And two, did the TARDIS crew care all that much about Adric? I’ll address the second question first, “First things first, but not necessarily in that order," does the TARDIS crew really care that much about the loss of Adric? For those of you who have never seen Time-Flight, they spend a few minutes of the first episode mourning his death - that’s all fine, problem is they seem so crushed at the end of Earthshock that their 'little' moment of mourning in part one makes it seem like they don't feel too bad that he’s gone. Oh well, Adric died, anyway, moving on! As a companion I’ve grown to love over the years, his death should've carried some weight into this story following the gravitas of Earthshock, silent credits and all. So why is the Master hiding his identity from himself and the passengers of the other Concorde? This one’s quite simple, so we don't find out as an audience that the Master is in this one until the end of part two! Now that may not be the most original reason the world has ever heard, but it works nonetheless. Similar to the previous story where the title Earthshock gave us no indication that the Cybermen would be the stories antagonists, making a surprise appearance at the end of part 1. A story which saw many problems during production turns out, at least in my opinion, to be not nearly as bad as fandom would have it. While certainly a guilty pleasure of mine, Time-Flight, despite its problems, is a fairly good story, benefiting from superb performances (bar Sarah Sutton the entire time), some interesting ideas in the scripts, and an astonishing season cliffhanger. Andrew Jero is 18, lives in Iowa and has been watching Doctor Who since the age of four. He enjoys acting and writing plays, television scripts, and short stories. He has a very strong love of Red Dwarf as well. Follow Andrew on Twitter.